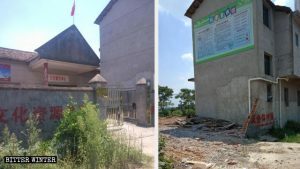 In its zeal to “maintain stability” in the Muslim majority province, the authorities have plunged to ridiculous depths and are effectively crippling business owners. Bitter Winter has previously reported extensively about how the authorities in Xinjiang follow the principle of “maintaining stability,” even if it means sacrificing economic development. 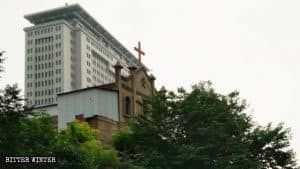 Muslim shop owners are not allowed to keep “halal” items, restaurants have to ensure their knives are QR coded and tied to chains, and Han Chinese have to adhere by the “ten-household joint defense” program. 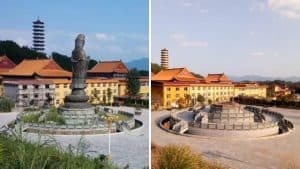 These policies have been in place for months, and we now have more details of the ridiculous lengths the CCP authorities go to implement them. For instance, to ensure there are no “halal” items on shelves, the authorities have put up notices in all major shopping malls and supermarkets. While the customers generally miss the discretely placed notifications, the salespeople are expected to refer to these and determine if items are allowed to be sold. 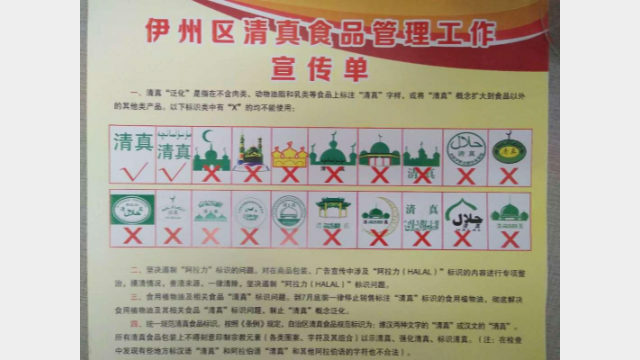 A halal food management propaganda notice issued by the authorities of Xinjiang. Ms. Zhang Lan, a daily use products supplier based in Korla city, is in a fix due to this policy. After it was enforced, she had been recalling items for three months but had no idea what to do with them. The manufacturers refuse to take them back since they are not defective or expired. In such a case, it is the supplier who ends up bearing the losses. 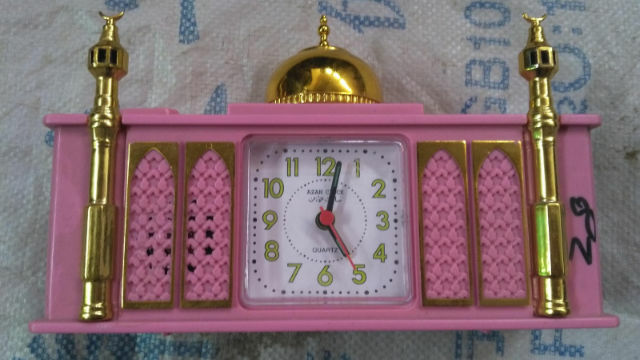 The sale of clocks bearing Islamic motifs is prohibited. Another shop owner, Ms. Tian, revealed that sometimes personnel from the Administration Office of Industry and Commerce show up for shop inspections too. 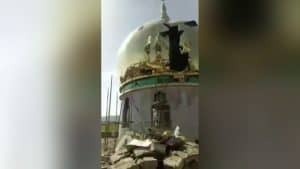 “Any time they find an item that could have even the remotest connection to Islam, they take it away,” she said. 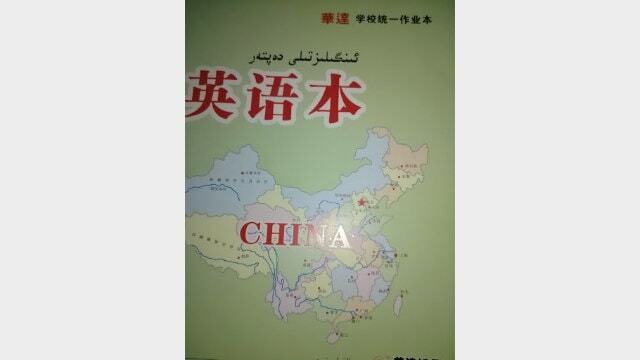 All exercise books containing Uyghur symbols are removed from store shelves. The officers, however, simply rebuked him and posted a “business closed” notice on his shop’s door. 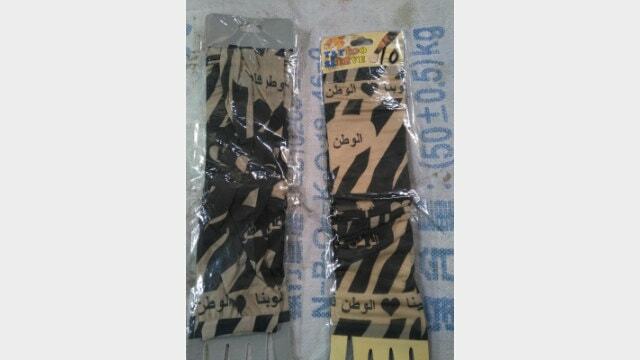 The use of scarves with Uyghur lettering is prohibited. A month later, a butcher shop owner was fined 2,000 RMB (nearly 300 USD) for not having one of his knives chained and secured with a QR code. He was also detained for 15 days. This policy, however, is not limited to shop owners. Even at their homes, Muslims are supposed to get all of their iron household products imprinted with QR codes. The police officers can visit for an inspection anytime and demand to look at items such as kitchen knives, gas tanks, cutting machines, electric welders, sledgehammers, axes, sickles, and hoes. The “ten-household joint defense” – a program intended for Han Chinese to receive “anti-terrorism” training to prevent Uyghur Muslims from revolting against the state – is another policy that is making Xinjiang business owners fearful. Since June, all establishments are supposed to be equipped with helmets, protective clothing, camouflage uniforms, batons, and whistles. The owners are also expected to wear a red armband with the words “maintain stability and public security” and install alarm systems. All of this is done on their own money and totals up to 2,000 RMB (nearly 290 USD). As of September, things have been even more intense. “The police now blow a whistle every 10 minutes. 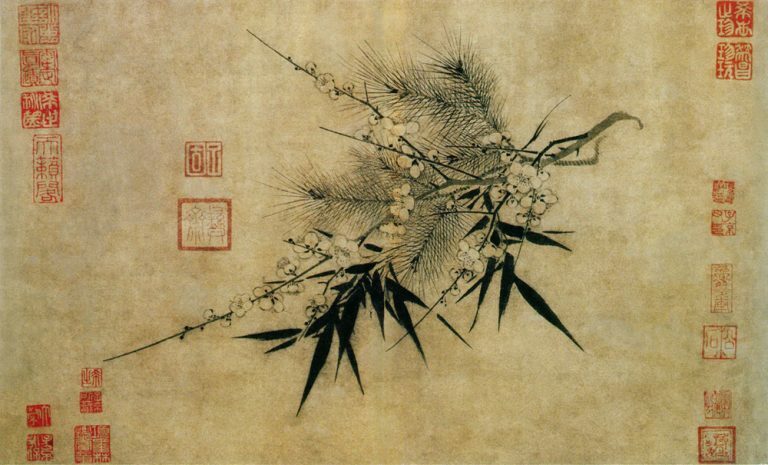 We are all nervous and on the verge of a breakdown,” Mr. Wang said. “It is impossible to conduct business normally in such a situation. Several shops have already closed down because of this,” he added. 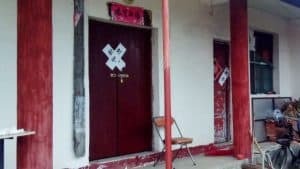 A business owner, Mr. Zhang, has spent time in detention because he once complained. He revealed that after being released, the authorities force people like him to report on others. “There are recording devices in our pockets. If anyone is found complaining, they will be sent to a ‘study class,’” he added.